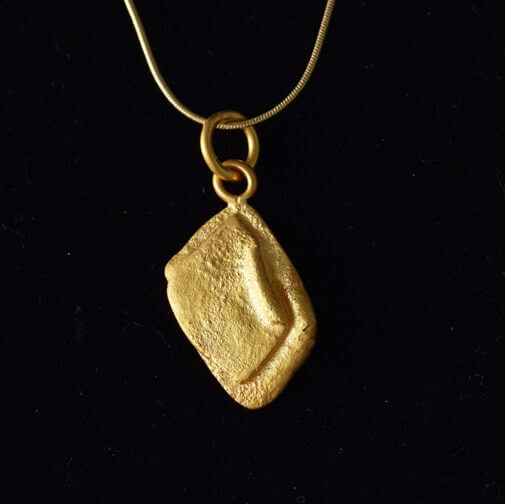 Two melted, and therefore randomly shaped, flakes of 22ct gold, melted together to make a pendant. The gold is textured and interesting looking, and hangs beautifully from a chain to sit flat. Overall length of the pendant approximately 2cm.